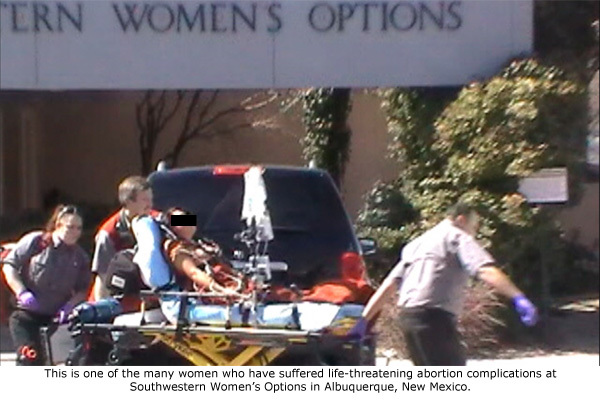 Albuquerque, NM — Last week in their 291-page letter to New Mexico Attorney General Hector Balderas, the House Select Panel on Infant Lives laid out a clear and convincing argument for criminal charges against the University of New Mexico (UNM) and a late-term abortion facility, Southwestern Women’s Options (SWWO), related to the acquisition of aborted baby remains. The report and accompanying documentation included with the letter highlight eight important points. 1. Two UNM abortionists created a radically pro-abortion climate at the “resistant” university and created a cultural shift that now aggressively promotes abortion. Those who opposed this new abortion agenda were marginalized and/or punished. Doctors 1 and 4 were known to “leverage their status” at UNM to recruit UNM employees and students to participate in political activities that would further their personal abortion agenda. The panel noted that the UNM doctors who were involved in procuring the remains of aborted babies for “research” and other purposes and who oversaw the transformation of that university into one with an aggressive abortion expansion agenda have salaries that are paid for by the taxpayers of New Mexico. Other funding for UNM’s abortion programs came from the Susan Thompson Buffet Foundation, which contributed over $2.5 million since 2001 [Page 14], and aided in the formation of the UNM School of Medicine Fellowship in Family Planning, which served as the vehicle through which UNM residents were deployed to SWWO. Taxpayers also footed the bill for abortion services at Southwestern Women’s Options, the largest late-term abortion facility in the U.S. In the attachment, “New Mexico Medicaid and SCI Reimbursements Received by Southwestern Women’s Options, 2010-2015” on page 159 it noted that SWWO received over $5 million in tax money in reimbursement for abortion services. Operation Rescue earlier released evidence that New Mexico Medicaid would pay SWWO $16,000 to abort a 30-week Down syndrome baby, which also documented state tax-funding of abortions. Second trimester babies were most desirable for UNM because they provided organs and tissue that was big enough for “research” purposes. They were also less likely to have been injected with digoxin, a drug that is used in later abortions to stop the heart prior to the extraction process. Digoxin renders fetal “specimens” unsuitable for research. UNM collected hundreds of aborted infant remains during 39 procurement sessions since 2010, (about once every six weeks). Those babies’ gestational ages ranged between 11.5-30.5 weeks. •	14-18 weeks (second trimester) were most numerous. •	20 aborted infants were beyond 20 weeks (5 months). •	16 week twins with clubbed feet. •	20 week twins (with intact brains). •	22.5 week infant diagnosed with Downs syndrome. •	25.3 week baby girl with an orofacial cleft. 5. Whole brains from aborted babies were used for dissection by “summer camp” students. There was no word as to the age of the summer camp students, but if they were minors, subjecting them to Mengele-like dissection of human babies’ brains is inexcusable. 6. UNM’s training agreement with SWWO violated UNM’s own policies and procedures on such contracts. Nevertheless, UNM’s contract with SWWO to provide training for UNM residents carried only Doctor #1’s signature – the same doctor who was one of the original abortion committee members who set out create a climate at UNM where abortion was aggressively promoted. After public outcry over the trafficking of aborted baby body parts depicted in videos released by the Center for Medical Progress, UNM terminated its apparently illegal training contract with SWWO. However, there is no evidence UNM’s practice of procuring aborted baby remains from SWWO ever ended, and the Select Panel assumes that it continues today. UNM and SWWO insist that no money changed hands in return for aborted baby parts. However, the Select Panel recommends further investigation to determine whether the employee benefits received by SWWO workers qualifies as “valuable consideration” under the law. •	Free use of UNM’s gyms, handball court, tennis court, weight room, and Olympic-sized swimming pool. •	Free access the UNM libraries. •	Free admission to several museums. •	Discounted for tickets to sporting and cultural events. •	Discounted membership at a 9-hole golf course. •	Discounted leisure sporting equipment rentals. There was only one thing that UNM got out of this arrangement with SWWO abortionists: aborted baby remains. The Select Panel uncovered violations of New Mexico’s Jonathan Spradling Revised Uniform Anatomical Gift Act, which for years has been misconstrued by UNM to allow for the donation of aborted baby remains. However, Select Panel attorneys found that the act specifically prohibits fetal remains from being donated for research or other uses, making the transfer of aborted baby remains from SWWO to UNM illegal. Given what could be hundreds of violations, this has become a very serious criminal situation of UNM and SWWO. Will the New Mexico Attorney General enforce the law? It remains to be seen as to whether the New Mexico Attorney General’s office will actually take steps to prosecute the University of New Mexico and Southwestern Women’s Options. New Mexico is a very liberal state that has traditionally ignored or dismissed complaints against its abortion businesses. Tara Shaver of ProtestABQ previously filed a formal complaint with the Attorney General’s office seeking a criminal investigation into violations of the Spradling Act and other crimes, but has told Operation Rescue that she has not been notified that any investigation ever took place.